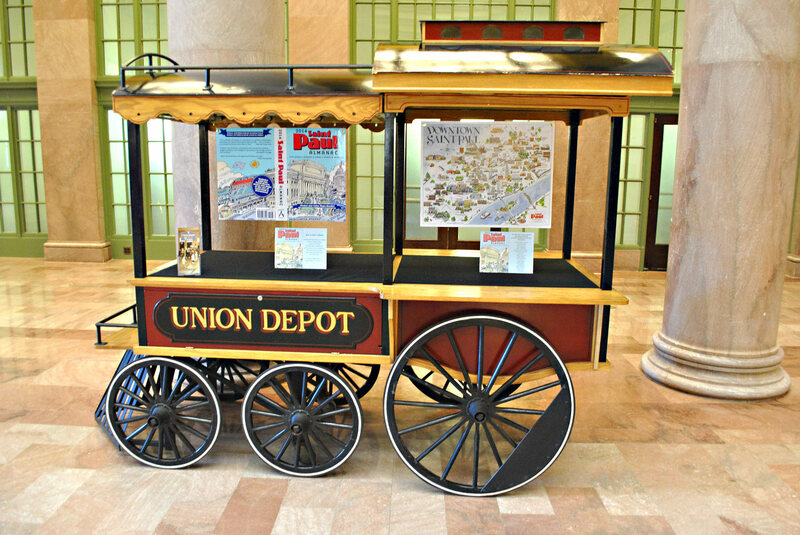 The Union Depot, the restored transportation hub and key Lowertown landmark, is featuring the 2014 Saint Paul Almanac in a display inside its entrance hall. 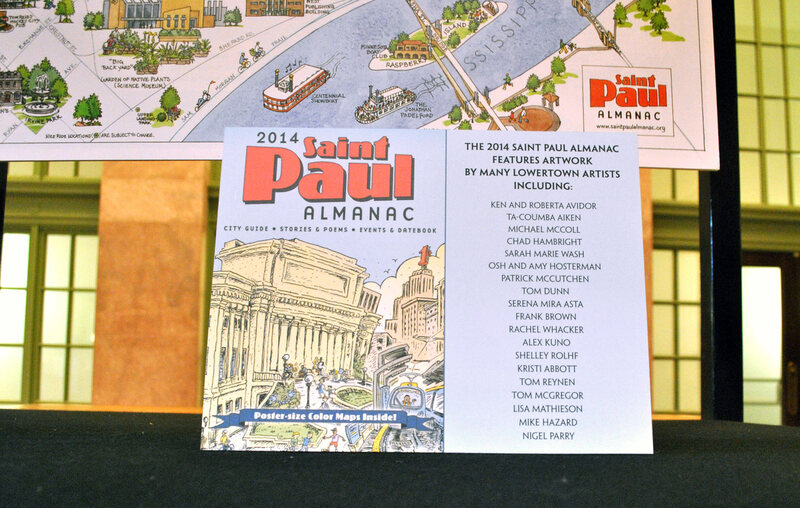 The latest edition of the Almanac features artwork by many Lowertown artists including Ken and Roberta Avidor, Ta-coumba Aiken, Michael McColl, Chad Hambright, Sarah Marie Wash, Josh and Amy Hosterman, Patrick McCutchen, Tom Dunn, Serena Mira Asta, Frank Brown, Rachel Whacker, Alex Kuno, Shelley Rolhf, Kristi Abbott. Tom Reynen, Tom McGregor, Lisa Mathieson, Mike Hazard, and Nigel Parry. 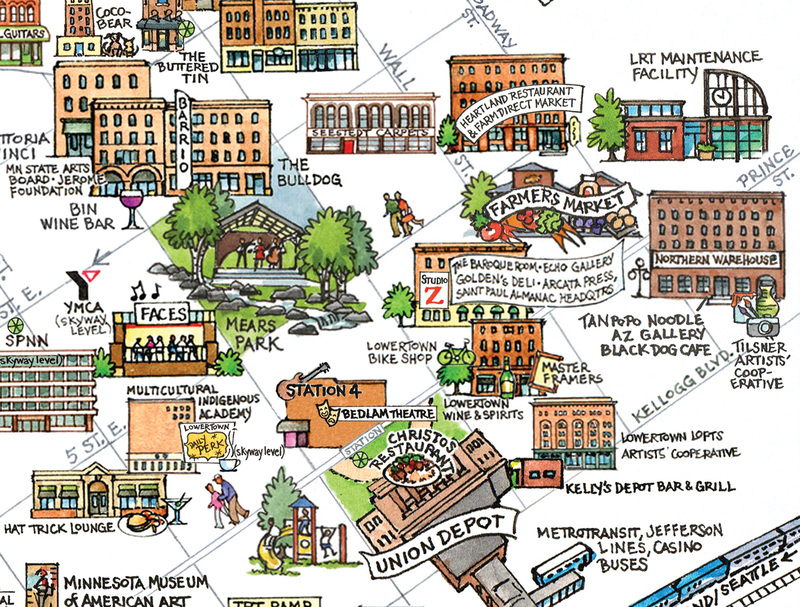 Lowertown detail of Roberta Avidor’s hand-drawn map of Downtown Saint Paul. The map has been vastly updated since the 2012 edition. 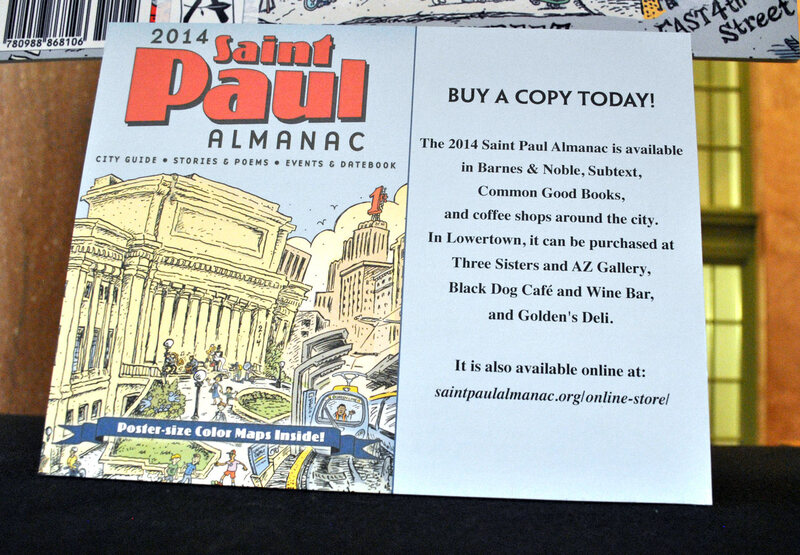 In 2011, the Almanac contracted Roberta Avidor to create the hand-drawn maps of the city and Downtown that were first published in the 2012 Almanac. During the process of repeatedly traveling from The Other Twin City—to Saint Paul to paint new landmarks—Roberta fell in love with the city, and ultimately moved to Lowertown with her husband Ken, into the Union Depot lofts. 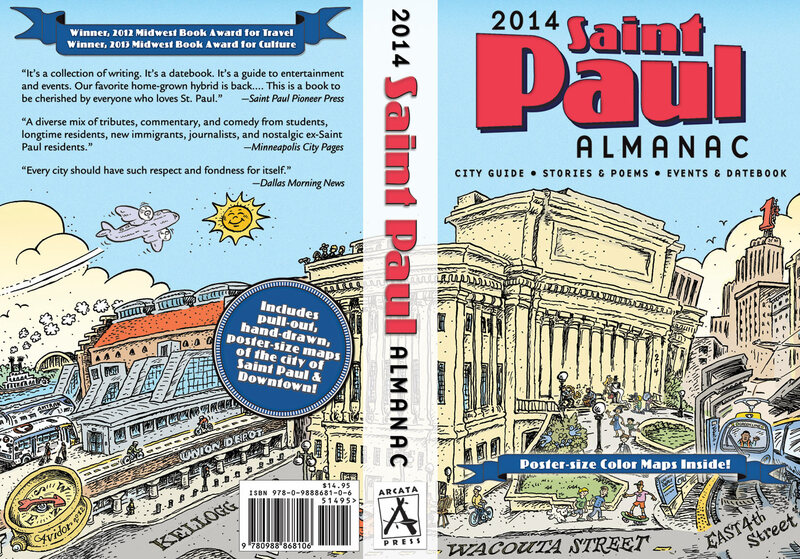 Ken’s artwork of the Union Depot wraps around the cover of the 2014 Almanac, pictured below.